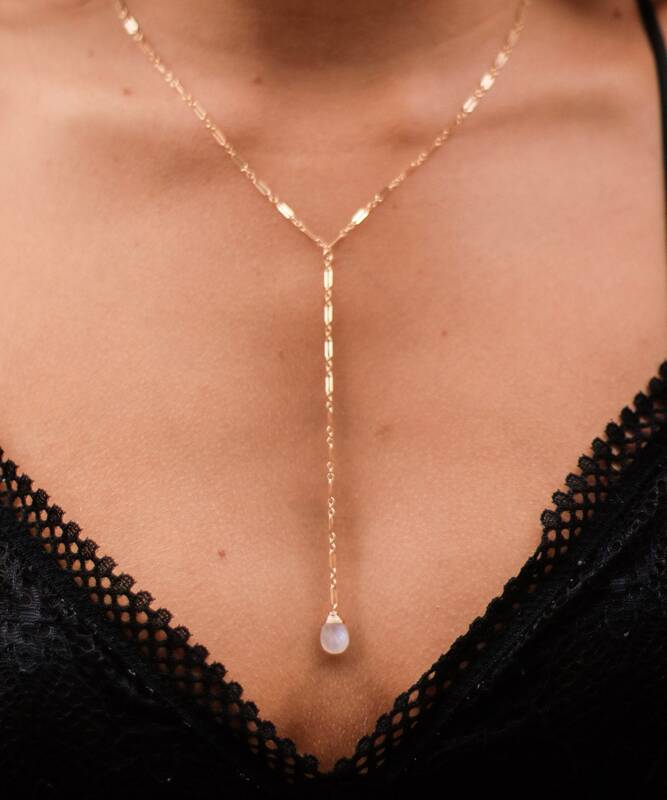 Moonstone Sparkle Lariat/14k Gold Filled/17"
Our moonstone sparkle lariat is held on a 17” gold filled “sparkle” chain, with a 3.5” lariat drop. Moonstone gem is hand wrapped in gold filled wire . Necklace can be worn alone or layered with additional pieces.